CLARK, N.J. — Beginning later this summer, the Chronic Liver Disease Foundation and Walgreens will provide free hepatitis C testing at more than 60 of the drug chain’s pharmacies in 12 cities across the country. 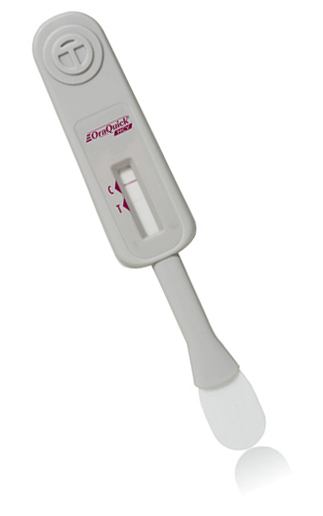 The OraQuick HCV Rapid Antibody Test delivers a diagnosis in 20 minutes via venipuncture or fingerstick blood. The foundation said Tuesday that the testing program, which will use the OraQuick HCV Rapid Antibody Test, is set to launch in August and run through January. Trained health care professionals will administer the tests, which will be available on specific days and times each week, and provide patient education on site at each pharmacy location. People who test positive for hepatitis C (HCV) will be linked directly to one of the Chronic Liver Disease Foundation‘s 75 Hepatology Centers of Expertise nationwide. According to the foundation, OraQuick HCV is the first and only FDA-approved and CLIA-waived point-of-care test for detection of HCV infection in at-risk individuals. The simple platform enables health care providers to deliver an accurate diagnosis in 20 minutes, using venipuncture or fingerstick blood. The test is made by OraSure Technologies in Bethlehem, Pa.
Each year, about 17,000 Americans become infected with hepatitis C. Up to 75% of people with chronic hepatitis C infection were born between 1945 and 1965, and up to three out of four people infected with the disease are unaware of their infection, the foundation said.